Your Flip’s settings options automatically appear when you turn on your Flip camera the first time. After that, to access your Flip’s settings options, simply press and hold the Record button when you turn on your Flip. The first settings screen that you see is Set Language, as shown here. 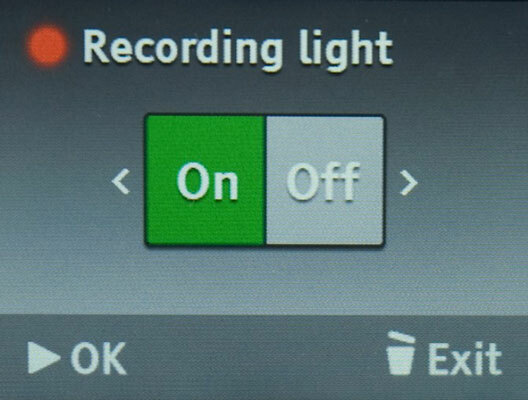 Flip settings options screens are arranged like a stack of flash cards, one after another, in the following order: Set Language, Set Date, Set Time, Tones, Recording Light, and Save Settings. 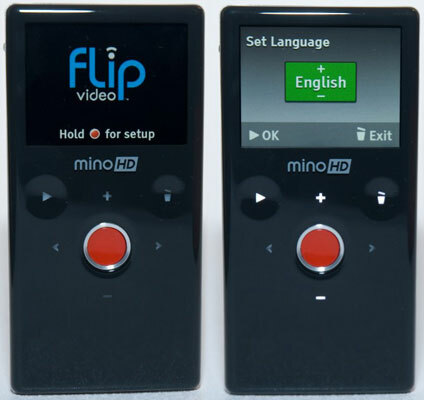 If you’re the proud owner of a Flip SlideHD camera, adjusting settings on your camcorder doesn’t require you to jump through every hoop like the other models, thanks to the SlideHD’s touchscreen display. To adjust your SlideHD’s settings, slide open the widescreen display, press the Menu button at the far right of the slide strip, and then press Settings to display the Settings pane. Adjust your SlideHD’s every setting option to your heart’s delight. So even if you want to change only one settings option — such as the time of day, when daylight saving time rolls around, for instance — you still have to step through those first two settings screens to reach the Set Time screen. The good news is that you’ll never have to cruise through more than five settings options screens to adjust and save (or skip changing) your Flip’s settings before you’re able to get right back to the business of shooting your first blockbuster. If your Flip is on, press the Power button to turn off your Flip. Press and hold the Record button. Then press the Power button and continue to hold the Record button. The Flip Video startup screen appears for a moment, followed by the Set Language screen. Press the Up (+) or Down (-) button to scroll through a list of language choice options to find the one you want. Then press Play to choose that language. Alternatively, if you’d like to accept the default language and move on to the next setting, press Play. At any screen, you can press the Exit button to exit the settings. The Save Settings screen appears, and you can choose to save any changes (by pressing Play) or ignoring any changes (by pressing Cancel). Press Play, and the Set Date screen appears. Up (+) and Down (-) to change the values in the green highlighted field, such as the day field. Press Play to move to the Set Time screen. 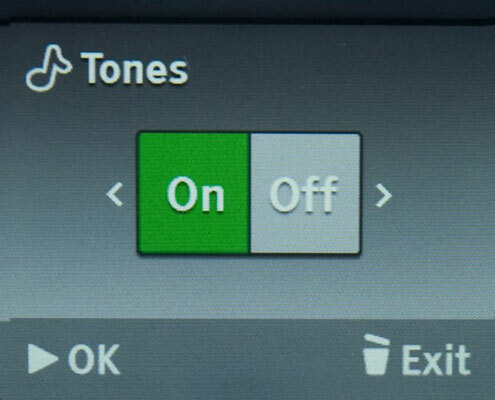 Press the Up, Down, Left, and Right buttons as described in the previous step to move the green highlight and adjust the hour, minute, and AM or PM values to match the current time, and then press Play. Press the Left or Right button to choose On or Off, and then press Play. Press the Left or Right to choose On or Off, and then press Play. The Save Settings screen appears. Press Save to save any setting options you changed, or press Cancel to ignore any changes you made but don’t want to keep. If you choose to save your settings, a Settings Saved screen appears for a moment, and then the live camera view appears. You’re ready to start recording new videos, or watching videos you already recorded and saved on your Flip. Here’s the drill if you later access settings to make changes. If the date (or any settings option screen) is already set how you want, press Play to keep that setting and advance to the next setting options screen. When you press Delete to exit the settings, the Save Settings screen appears (as usual), and you can save (Save) or ignore (Cancel) any changes you’ve made.